As the swimming season gets in full swing, you want to know that your pool is safe and will be free from accidents related to its structural integrity. That is why Pool Troopers wants you to be informed regarding the ladders and handrails. With that awareness, you will know when it is time for a replacement. There are several reasons to upgrade – among the most important reasons are safety and design. Ladders usually have a two or three step design. There are even 4-step ladders for deeper pools. Most are constructed of stainless steel with a high gloss finish of chrome. Used to assist a tired swimmer in their exit from the pool, rails play an important part in safety. They can also be the most prominent feature in the entry and exit to the pool, even in shallow water. Today’s rails come in a large variety of shapes and sizes and can reflect the style of patios, furniture and the overall house decor. 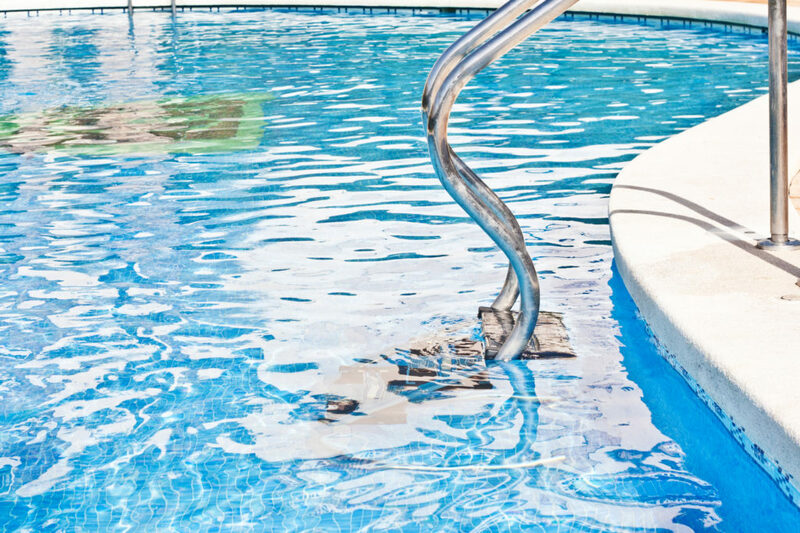 Saltwater in your pool, sun, and chemicals may have taken their toll on your pool equipment. If there is corrosion present, you know it is time to replace the handrails or ladders. Before that, you may need to replace a tread, bolt, bumper or plate. Your railings from the spa or pool may be wobbling or feel loose. This is not the safest situation, especially when your family and their friends are using the pool or spa, getting in and out of the pool rapidly, while having fun. You may have considered or are using handrail covers to increase safety. These covers come in a variety of colors and can add to the look of your pool. Although a great measure, they do not fix rails that are loose, shaky, and dangerous. Pool steps can replace a ladder in shallow water, if you want entry to be easier for children or adult family members. If you seek a more contemporary look for your pool, you can upgrade the handrails with a designer approach that does not sacrifice the safety of the swimmers. There are sleek and modern designs that will give your pool flair as well as maintain safety. If you are about to sell your home, consider upgrading the handrails and ladders with modern versions. Upgrading can add to the beauty of the pool while also adding value to your home and making the outside pool area more attractive to potential buyers. Many of the handrails and ladders sold today are built to last and are made of materials that are not affected by chemicals or salt water. They can add a facelift to your pool and make a unique and bold modern design statement. Having a pool with flair is an asset at any point, even if your home is not now for sale. If you have broken, sharp or brittle step treads, consider replacing them. Treads should all be in their correct place. Make sure handrails are secure and nothing is blocking them. Check the diving board if you have one. If you have a slide, it is important to check that as well for the safety of children. Visit our blog regarding getting the pool ready for more tips and advice. Pool Troopers is here to help you with your pool equipment. We are a full-service maintenance company and specialize in residential pool services. Browse our blog and the website to learn more and then contact us. We want your pool area to be safe and beautiful for the enjoyment of your family and friends.